No próximo sábado, 18 de novembro, a Dra. 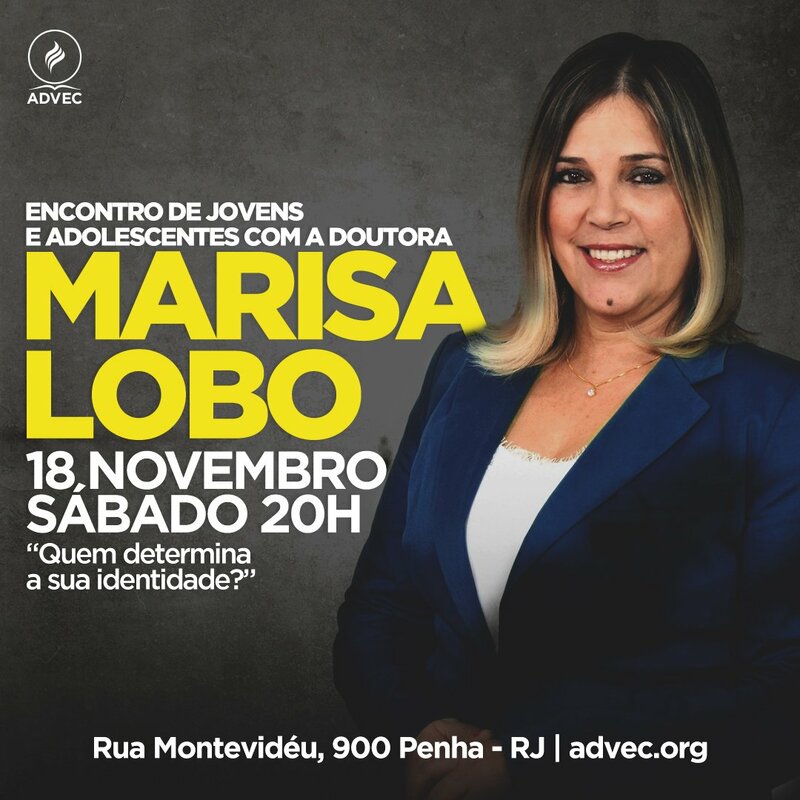 Marisa Lobo estará na @advecoficial para falar de um tema muito importante: “Quem determina a sua identidade”. Não deixe de participar! This entry was posted on 15/11/2017 at 16:00 and is filed under fora pt. You can follow any responses to this entry through the RSS 2.0 feed. Both comments and pings are currently closed.